Now that you have created your server with WPOven, you can start with adding your domain to the WPOven dashboard. 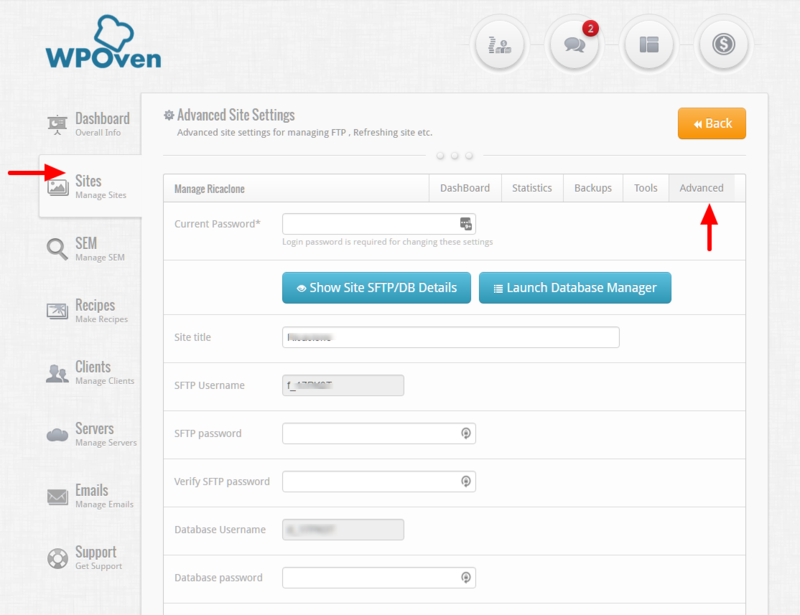 To add a domain / site to your WPOven server, simply login to the WPOven dashboard and navigate to the ‘Sites’ Tab. You will now see a form to add a new site. Fill in the form and your site will be installed on your WPOven server, with the latest WordPress version installed on it. If you wish to migrate your site from your previous hosting, simply click on the ‘Request Migration’ button and fill in the migration form. WPOven offers free migrations for upto one site per week. 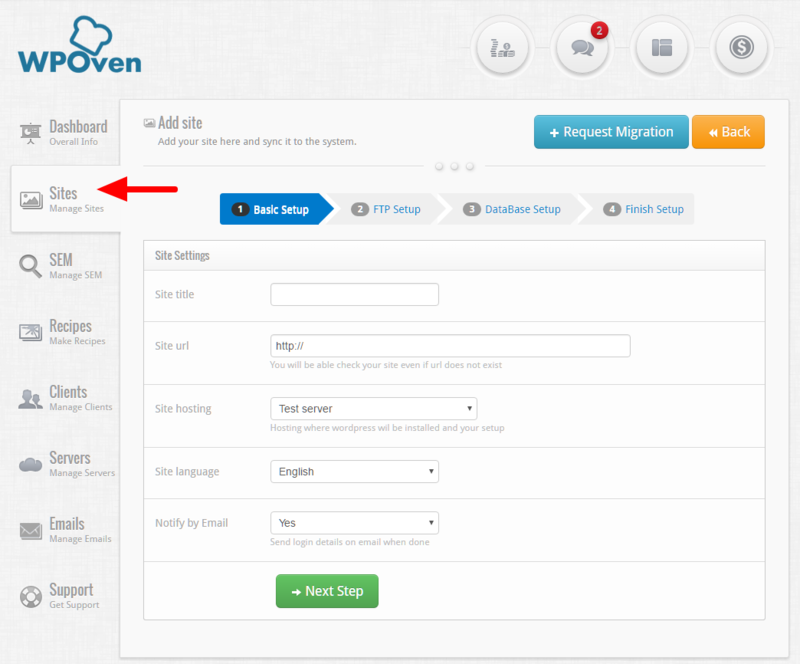 If you wish to migrate your site yourself, you can follow our migration tutorial. 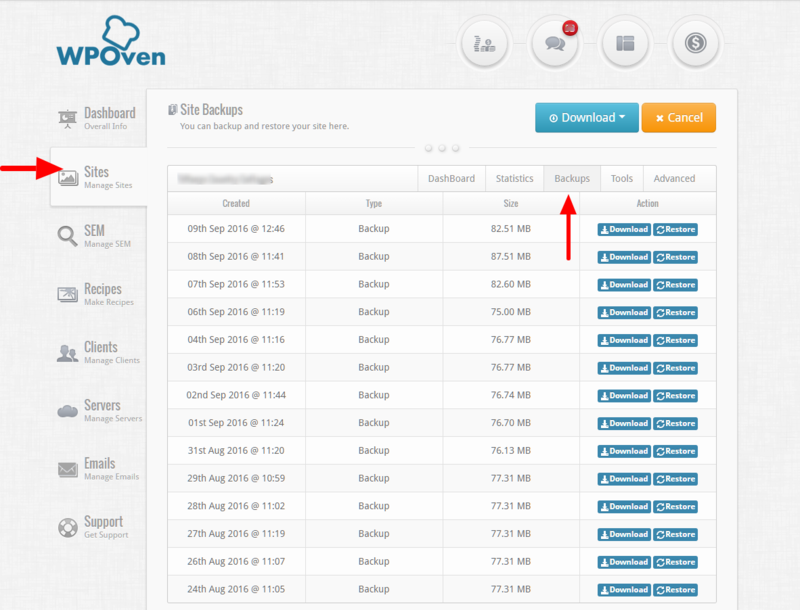 WPOven stores backups for all your sites for upto 14 days on an offsite server via Amazon S3. You can manage your backups from the WPOven dashboard from the ‘Sites’ tab and then selecting the site and selecting the ‘Backups’ sub tab. You can also Download or Restore the backup with a single click to your site. A “Staging Site” is a test site which is an exact copy of your site. It is used for testing purposes. You can make changes to the staging site and test them, before making them on the main live site. You can access the ‘Advanced’ tab for your site from the ‘Sites’ tab and selecting the site you wish to manage.